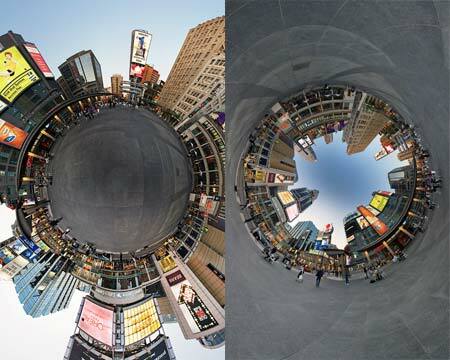 photography by Sam Javanrouh, made available under a Creative Commons licence. Okay, here’s the long-awaited news – “Uptime / Downtime” is pretty much ready, and we have a release date! (Damn, it feels good to type that!) What’s more, as we didn’t get it finished in time for release for the end of this decade, we thought it highly appropriate that we release it at MIDNIGHT Greenwich Mean Time on 01/01/10, making it the first album released in the NEW decade (well, in the UK anyways – damn time zones!). That means that sometime around your New Year’s festivities, there’ll be a present for you waiting online, helping you to ease into 2010 in the manner to which you have become accustomed! To celebrate the release (and by jove, do we ever want to celebrate it! ), Eric will be playing at not one, but two events in MANCHESTER over the New Year’s celebrations, cunningly fashioned into an Uptime event and a Downtime event to tie in with the theme of the album. You see what we did there? Good. First off, as you may already know, we’ll be at The Ruby Lounge on New Year’s Eve for what is being described as “the best house party in the world” – Yup, that’s right, the club will be transformed into the most perfect house party, complete with a booze stashes, bedrooms to sneak off into (complete with megadrives and bunkbeds! ), a garden with a shed, and the best stereo in the world in the living room. Joining Eric on the stereo will be soundsmiths from The Whip, May68, Lost & Found, Same Teens, The Answering Machine and some very special guests that we’re not allowed to announce. It’s going to be a pretty special night, to say the least! Tickets for NYE are £10 (+ booking fee) from either Ticketline or See Tickets online, or the esteemed Piccadilly Records in Manchester, but be sharp, as this is going to be a sell-out event. On the flipside, the next day (New Year’s Day, keep up! ), we’ll be heading for another Lounge, this time across town at Hatter’s Hostel, where, after grabbing a few winks (and there’s beds available from £18 too – only fair we give our fine hosts a plug! ), we’ll be hosting a Downtime themed afternoon session, with free brunch and bloody marys for all to help the recovery and get into the swing of 2010. Coming along for the session will be some of our friends from Murkage Cartel (who will be following up their own NYE extravaganza at Sankeys), to swap stories and tunes, and compare hangovers. And being New Years, who knows who else may end up with us?… you’ll have to come along and find out! Entry for NYD is strictly by invite only, so if you want to come along email us – again be sharp, as the list will fill up pretty quickly! So… all sounds rather good, yes? Well, in true not-only-but-also style, we’re even having a COMPETITION to win tickets! Not only tickets for the winners and a mate each for the two events, but also accommodation for the night at Hatter’s (I know, there probably won’t be much sleeping done, but it’s good to have somewhere to dump your stuff and chill if you need it, without having to get an expensive taxi home, no? Also there’ll be breakfast waiting for you when you rise!). That’s your New Year’s sorted then! To enter the competition, just email nyecomp@kleptones.com, giving us your contact info and telling us who, in an perfect world, would headline YOUR ideal “Uptime” night out and “Downtime” recovery session (apart from us, obviously, hemhem). The THREE best answers picked will win tickets to both events & accommodation for themselves and a friend! Closing date for the competition will be Midnight on Xmas Eve, and we’ll email the winners on Xmas Day, which should make for a pretty decent bonus Xmas present! (Sorry we won’t be able to gift wrap it ;). Phew! It’s going to be a pretty crazy couple of days, and a fine way to celebrate the album and New Year’s in one fell swoop. Don’t be glum if you’re not near Manchester though, as we’ll be hosting more Uptime and Downtime events all over the place in 2010, so watch this space! Okay! Album – New Year’s – Competition – Win. I think that’s it – better get back to work. Couple of new gigs to announce – First a loooong, long long overdue return visit to Manchester, and on New Year’s Eve to boot! 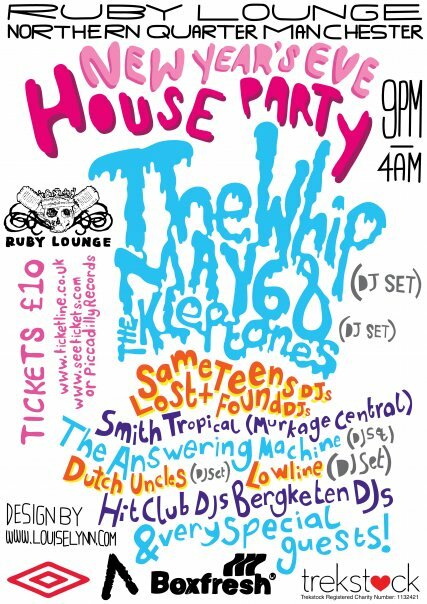 Yes, our good friends in the town, previously of the mighty Birthday Party, now ensconsed behind the reigns of Same Teens and XOX Magazine, are taking over The Ruby Lounge to throw the house party you’ve always wanted to have, but have never felt like cleaning up after! Second in order only, in the new year Eric will be heading out across for a debut performance at Bootie Berlin, by invitation of the mighty fine DJ Morgoth, who will be providing backup along with the splendid Dr.Waumiau. 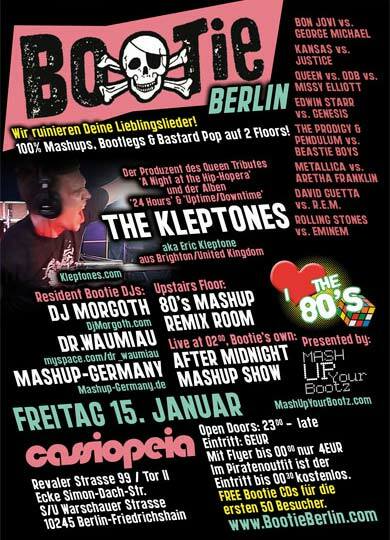 Friday 15th January is the date for your diaries, my German friends (and anyone else that feels like a weekender! ), and with the Bootie seal of quality, you know this is going to be a spectacular show! Last and most definitely not least, the fine US VJ DJ Tripp has put together a videomash for “Voodoo Sabotage” – Many thanks to him. Check it out below and hope to see you soon – more shows in the pipeline as always! Voodoo Sabotage (The Kleptones Mash-Up) from DJ Tripp on Vimeo.